Golden turmeric – the queen of protective herbs whose nourishing yellow sustains life’s majestic glow. This is a tea to celebrate life – lemon fruit, aromatic cardamom and whole leaf green tea expertly blended with one of nature’s most powerful herbs. 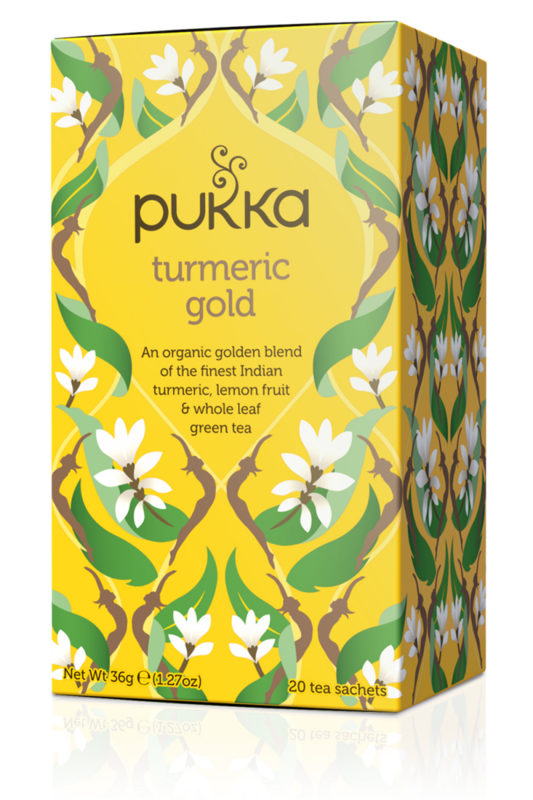 The elegance will leave you feeling renewed as each cup lets you don turmeric’s shield..
To get the best from this tea, infuse for at least 5 minutes to release its full flavour. 100% organically grown and ethically sourced ingredients: Turmeric root (40%), Suoi Gang green tea (20%), licorice root, cardamom pod, lemon Vana tulsi leaf, lemon essential oil flavour (6%), lemon whole (6%). 12% FairWildTM certified ingredients (licorice) by dried weight.